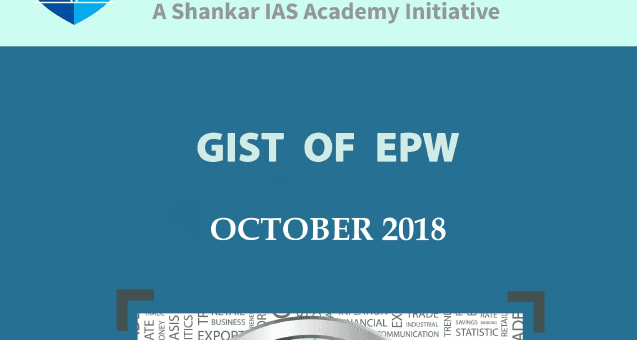 Download GIST of EPW of October 2018 in PDF format. Download GIST of EPW of October 2018 for UPSC, State PSC and other competitive exam. This pdf help you to cover current issue and topics like Where the Transgender Bill fail, Are Sewer death the New Normal? , etc. To download GIST of EPW, please click on the link given below.